To get the very best oral and dental care, you need to see a dentist who has handled considerable successful cases. Now get relaxed about all your dental problems. Dr. Iftikhar Qureshi at Metro Dental who has handled more than 2000 successful cases is practicing since last four years. A well qualified doctor and surgeon knows how to care for your health in a better way. Metro Dental Clinic situated at sector 4, main road, Hiran Magri, Udaipur is a complete multispecialty dental clinic. Serving thousands of patients since years, Metro Dental has been a reason behind many cheerful smiles. You get a quality level Oral care at Metro Dental. A well known healthcare center in Udaipur city is serving to people to its best manner and is a trusted brand name in the dental care sector in Udaipur city. 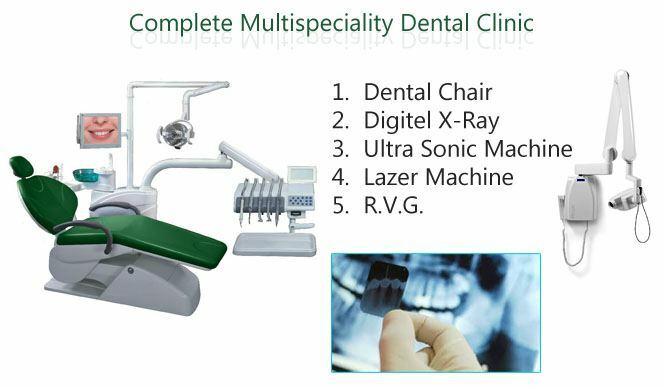 The Metro Dental Clinic is well equipped Dental Clinic in Udaipur with Dental chair, RVG, Digital X-ray, Ultrasonic machines, Laser machines and a healthy environment. The clinic is very hygienic and well structured. At Metro Dental Clinic we give you undivided attention. You are given a thorough examination and a clear explanation of what work needs to be done and what your treatment options are.